By request, Balaboostas is featuring their 4th Weight Loss Competition this year! If you want to work off those extra pounds that seem to pile up during Chagim, or in the winter months, then this might be perfect for you! 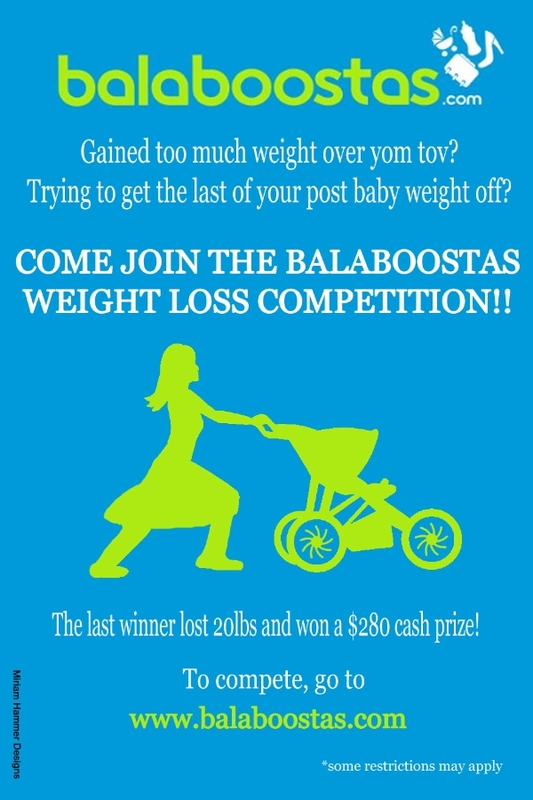 Come join the Balaboostas Weight Loss Competition, where other women like you, compete for a CASH prize and shed those pounds at the same time (with the support of a trainer). Sounds too good to be true? It’s not! The last Winner won a total of $280 USD and lost 20.6lbs! The competition starts on November 1st and will run until January 15th. The closing date to join is November 15th, so if you would like to join, hurry up and apply! Read here for the terms. Shout out to past competitors: please share your success stories! 🙂 Good luck to all the contestants! I have started and stopped this following post so many times that I’ve lost count. But today, I’m inspired to write. 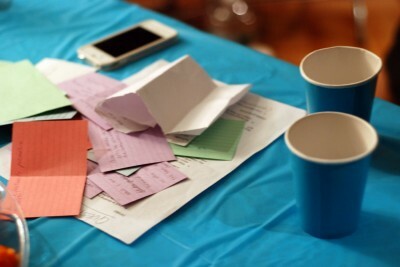 I loved to head projects and be smack in the middle of things. 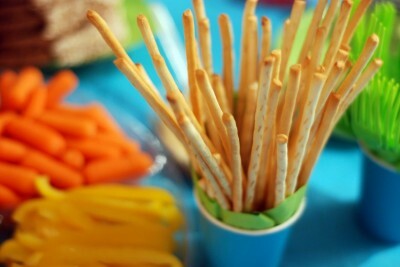 I was organized and boisterous and loved every second of it. All throughout high school, I was on the committee for our annual school weekend away and I always had something busy in the school play, be it as lead actress, choreographing a dance, or heading the entire production. I volunteered with children who had special needs and I worked on Sundays as well as weekends, in an educational capacity. I took meticulous notes if class was interesting and made innocent trouble when I got bored. I just always needed to be doing something. I loved the feeling of accomplishment. This energy served me well when I finished high school and went on to do program coordinating for a nonprofit in California, and then when I moved to New York and began to work in a local school. After I got married, my husband used to tease me about not being able to sleep in and jumping out of bed the instant that I woke up. When I got pregnant, I was slightly lazier, but still energetic. During the summer that I was pregnant, I worked in a preschool camp that required a 1.5 hour commute to Connecticut each morning (and then back in the afternoon) and it didn’t phase me. When delivery day finally came around, I remember that at one point during labor, I told the midwife that I did not need such a long break between pushes. She and my doula laughed and said, “Now is not the time to be an overachiever.” But that was me. Seven weeks after my daughter was born, I went back to my job of teaching in the afternoons. When she turned nine months old, I enrolled in college for evening classes. It was hard- balancing everything, but there was a crazy type of adrenaline that came with it as well. I didn’t stop when I became pregnant with my second child and continued my rigorous schedule: Mommy in the morning with my toddler at home, teacher in the afternoon, and student in the evening. I didn’t think anything could stop me. My second daughter was born on May 25th, a rainy Friday afternoon. A holiday (Shavuot) was set to begin on Saturday night so once sunset hit on Friday, we would be in for a three day stretch of no electricity, phones, driving, etc. I didn’t want to be in the hospital alone and so I left 7 hours later. I was throwing up but I didn’t let the nurses see because I was so scared that they would make me stay. I didn’t stop pushing myself. When the holiday was over, my husband returned to work and I was home with the newborn and my 2.5 year old. It was tiring, but my frustration level was at an all new low and I was getting very agitated with myself. I was used to pushing myself, so why wasn’t this working now?! A wonderful organization sent me a delicious fresh breakfast every morning for the first couple of weeks. My sister came over with her three-month-old baby to help entertain my big girl and to be there for me. My husband was supportive and amazing and didn’t stop for a second when he came home. Still, I felt the weight of the world on my shoulders and found myself reduced to tears in minutes. Visitors would urge me to sleep while they were there, to sleep while the baby was sleeping, to sleep whenever I could. They didn’t know that sometimes I just couldn’t sleep. There were nights that I would lay awake for hours, sobbing until I was too exhausted to cry anymore, angry that I couldn’t fall asleep. There were days that I couldn’t nap, even when I tried. 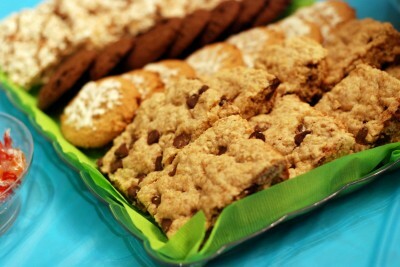 And there were times, especially when people came over to relieve me, that I wanted to stay awake. I wanted to be with other people and feel normal. Alone in my room, in bed, all I could think about was how little I accomplished and how much time I was wasting. When the end of June rolled around, my big girl started camp. I was a bundle of nerves. She had never been to school, as she has always been at home with me. I felt like I should have been able to care for her at home along with my baby. I also knew that I was being a horrible mother and that she was getting the brunt of my anger at home and that she would be much happier away from me. Looking back now, I see that I was thinking terrible things about myself that were unwarranted. My daughter was going to camp because she was 2.5 years old and she would have a great time! I had just had a baby and wasn’t going to be able to entertain her and take her out, camp was normal! Now that it was just me and the baby at home, I was sure everything would finally fall into place. I reasoned that I simply must have been too overwhelmed caring for them both and that now I would be the energetic and efficient mother that I planned to be. The days were worse. I was a mess. When my baby didn’t sleep, I would scream at her. Through my tears, I would beg her to be quiet, beg her not to cry, call her names, wish she was gone. I never thought about hurting her and I used that as my measuring stick. I said to myself that if I ever feel like throwing her, I’ll know that this is PPD. But if that’s not happening, this is just me being an absolute failure. 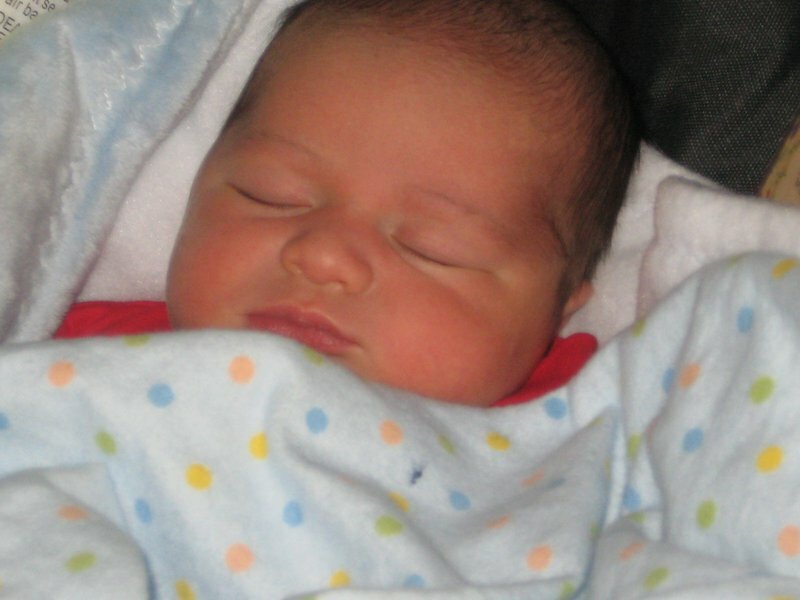 At my 6-week appointment, I waited expectantly for the midwife to ask me about how I was coping. I went to a team of several midwives and it happened that the one I saw that day, was one that I had only ever seen once before. I am sorely disappointed that the practice doesn’t focus on scheduling the 6-week appointment with a more familiar midwife for the patient, as I was too uncomfortable to bring up my feelings with someone that I barely knew. She did ask the routine questions but cut me off with a check on her sheet even before I had finished articulating my thoughts. Thing is? If she would have known me at all, she would have recognized right away that I was so quiet, pensive, anxious, and just extremely out of character. Over the next few weeks, I called my husband home more times than I care to remember. Sometimes I was too embarrassed to call and I would lay on the floor near the baby’s crib, crying nearly as loudly as she was. I would beg him to read my mind and come home. Eventually I would succumb and send him a text. He couldn’t know how much I had tried to withstand on my own before reaching out to him, and I would often become unreasonably hurt when he wouldn’t immediately understand me. It’s embarrassing to think about this now! One day, about ten weeks postpartum, I had a fantasy that I would mysteriously fall into a 6-month coma and get a break from my parenting responsibilities. It seemed like the best solution. No deaths, nothing irreversible. My in-laws or my parents would surely come in to help and my big girl would be fine just as soon as I woke up. I knew that I was thinking bad, bad thoughts but it really was appealing. At that moment, I confirmed with myself what I had already been suspecting: I definitely had Postpartum Depression. Still, though, nothing changed. I told my husband about the coma dream and I knew how uneasy he was, but he didn’t say anything about PPD. I knew it in my heart but I wasn’t going to say anything because if I did, how would anyone know that I didn’t just make everything up? Growing up, we always had to have ‘proof’ that we were sick or else any feelings of being ‘unwell’ didn’t count. I am sure my parents were just trying to weed out the fakers (who doesn’t try to play hooky one time or another?) but this translated into a huge obstacle at a really tough time in my life. I was desperately waiting for someone else to suggest that I had PPD so that it wouldn’t have come from me and that would make it more ‘real’. Meanwhile, my husband was simply trying to find the right way of telling me without making me completely reject the idea. He had no way of knowing that I was waiting for him to bring it up. In the end, I so desperately wanted to feel better, I finally mentioned that I was worried that I might have PPD. My husband was extremely supportive and encouraged me to reach out for help. At first, I tried to call SPARKS, an organization that offers services to women who are suffering from PPD and other issues. The first time I gathered the courage to call, I was put on hold. I hung up after seven long minutes of waiting. It was a while until I gathered enough courage to call again. This time, I was directed to a confidential voice mail. I left a message, but it’s been a year now and no one has ever called me back. (Don’t worry, I didn’t wait all year for that call.) I soon got in touch with a family friend who is also a therapist. She tried to help me naturally as I was against the idea of medication. We soon realized that it simply wasn’t enough and I was too anxious to work through it this way. She suggested that I call a doctor nearby and schedule an appointment. As soon as I made the decision to do that, knowing full well that I would be starting medication, a huge weight was lifted from my shoulders and I suddenly felt like I could see the light at the end of the tunnel. I started on a low dose of Zoloft, some vitamins, and instructions to start adding in exercise every day. For the first couple of weeks, I also went on some heavy duty (awesome!!) sleeping pills just so that I would be able to sleep at night until the Zoloft kicked in and the anxiety would dissipate. I knew that I was going to be okay. It wasn’t a smooth course. There were ups and there were downs. And then even downer downs. But as I began to take care of myself and allow myself to be constructive with this new sense of ease, I began to get better. My baby is 14 months old now and I have been off of medication since the middle of May. Some days are still hard and sometimes, my emotions seem overwhelming but I’ve learned a lot about myself this past year and I am getting the hang of it. I can get out of the house with both kids by myself (might seem silly to some but a huge accomplishment for me) and best of all, I am laughing again. I started this blog because I like to laugh at myself and am so thankful that I can still do that. I’m not perfect yet, and I should continue therapy to learn better ways of managing my stress, but I’ll get there. Because I truly am a Supermom. Editors note: You can read part I of “The Road Less Traveled” here. Much has happened since the last publication, my dear readers. 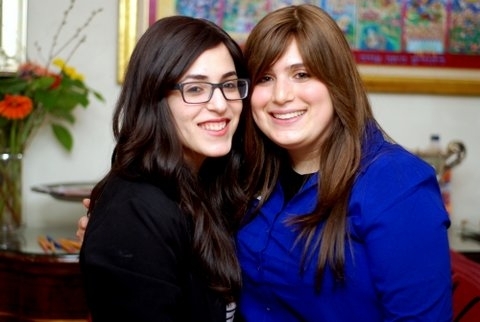 We are now seven months into being completely shomer Shabbat, my family has MORE than accepted ALL of our decisions, many more friends have been made and connections have been matched. My husband has been attending services every Friday night and Saturday morning (even though he knows he doesn’t count as part of the minyan, he is in love and on fire for Hashem). Every six weeks, Friday night Shabbat dinner is held in our house, with sometimes more than eight people sitting around my table. And that is only the beginning. In November, we found out that we were (unexpectedly) pregnant and I went from shock/disbelief and borderline not wanting to be (as we wanted his conversion to be complete first) to absolute excitement. I went to the doctor and had my blood drawn, which confirmed definite pregnancy, and two days after that, I had blood drawn again to confirm that the pregnancy was moving forward as it should. A week later, I started spotting. I called the doctor and was told not to worry about it, as it was common, and that everything would be fine. For a week, at least once a day, I would see blood when I urinated and feared the worst. Finally, I couldn’t take it anymore and went to the doctor on a Wednesday morning where they performed an exam, round of blood work, and an ultrasound. The exam came back normal, the blood work came back as still definitely pregnant, and we held our breathe as we went in for the ultrasound (even though we knew that we were only about 4-6 weeks along and we knew that we probably wouldn’t hear anything) and didn’t even see a spot. We were told not to be discouraged, as this was “normal” and they reassured me of everything. They put me on “light duty” of no heavy lifting and sent me home. A restful Shabbat came and went, and on Sunday afternoon I went to the airport to pick up a friend of mine that I had not seen in two years, and came home. 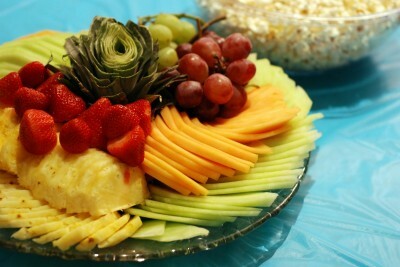 That evening, while my husband, one of my girlfriends, my childhood friend from out of town, and I watched a movie, I started to cramp a little, in a way that I had never experienced. I voiced my concern, took two Tylenol (which didn’t help) and went to bed. I woke up on Monday at 4:30am in excruciating pain, and before I even got out of bed, I knew my worst fear was coming true. I immediately called the doctor on call and they told me to only get to the E.R. if I was filling a pad an hour and/or if I was in more pain than I could handle. Being the dedicated employee that I am and believing the doctor, I popped some more Tylenol, texted my boss to let her know I was miscarrying and that I would be a bit late to work. Before I even got to my job, my boss called me and told me to not dare go to work, to go immediately to the E.R., and that she knew what it was like, having experienced it too, and not to return until I was ready. I didn’t want my husband to miss work for something he could not help, especially since he wouldn’t be able to touch me anyway, so I called my mother-in-law, who said she would meet me at home to take me and I then called my childhood friend in from out of town and told her to get dressed. My joke to her was that on her first day in Nashville, TN, I was going to show her the famous Vanderbilt University Medical Center. To make a long story short (at least this part) I was in so much pain by the time I got there, that they had to give me morphine just to perform the exam and blood work, which confirmed that not only had my baby died, but that I was also so far along in miscarrying that no further medical procedure was necessary. I was sent home with a prescription for a heavy narcotic, merely three weeks after finding out that I was pregnant. We were devastated. I stayed home from work for a week, either in too much physical pain or too heavily inebriated to work. I returned to work one week to the day after losing my baby. I would later realize this was a HUGE mistake. 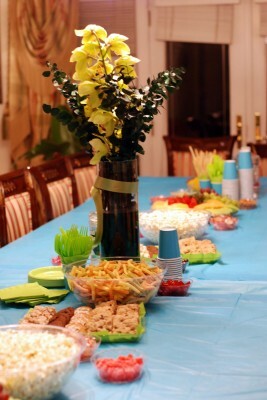 The secular New Year came and went uneventfully, until the night our Rabbi called my husband. The Rabbi called to tell my husband that the Beit Din that would be performing his conversion would be meeting in two weeks on a Sunday and that he needed to get there and that I was more than welcome to attend, as they would probably want to meet me as well. Fast forward to the week of the meeting when our Rabbi calls to confirm the time and other details for Sunday, he tells us there is a slight change of plans and that they will probably not want to meet me yet, as it is the first meeting. On Motzei Shabbat, we immediately packed the car after Havdallah and drove the four hour drive from Nashville, TN to Atlanta, GA, checked into a hotel and got to bed. We wake up the next morning and we went to the synagogue to meet with the Beit Din. As we are packing our room and getting into the car, I realize that I didn’t pack a book or magazine, so I tell my husband that I will drop him off at the synagogue and go to a Walgreens or somewhere else to get something to read. We go into the synagogue, he “checks in” and I am on my way out to the car when he calls my cell phone and asks me to turn around and come back inside, because the Rabbis want to meet me after all. I feel my heart pulsing in my ears as I make my way back into the office and I take a seat. After some introductions and a few questions, the real interrogation for me started. There were three questions/comments that were made that will never leave me. 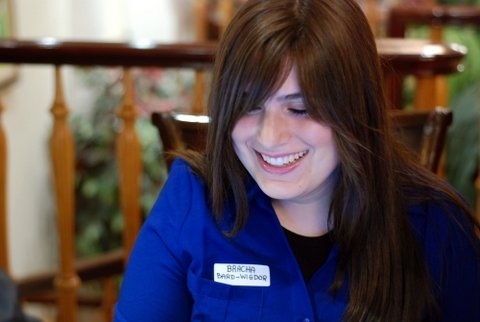 The first one was “Do you have any children?” Even though the Rabbis had no idea what had happened during the prior month, I remember standing there and wanting the floor to literally open up and swallow me whole as I said “No, not yet.” The second blow? was when they asked me, “What made you think it was ok to marry a non-Jew?” My response came quickly and did not really give my voice justice, as I feel like I did not have the opportunity to explain myself. I said “I didn’t think about it that way.” But the rest of what I wanted to say was, “I was told as a child that I could marry anyone as long as they were not Muslim or Agnostic/Atheist and that when I looked into his eyes fourteen years ago, I saw his future, I saw this moment.” (Minus a couple of things.) They also told me that if I was waiting for his conversion to be complete, I was causing “Permanent Loss”. This is the part that made no sense to me as the commandment to have children is for Jewish men, not women, so it did not necessarily apply in this case and I wanted more of an explanation. As the interrogation wrapped up, I couldn’t get to the car fast enough. I barely made it there and got the door closed, before I lost all control. I not only cried, I wept, wept for my baby that failed to thrive, for the babies that I apparently lost the opportunity to have due to waiting, for my lack of self-motivation to stand up and speak for myself when I stood before those men less than 30 minutes before. I cried until I choked and coughed and couldn’t breathe, and then I called my mother. I told her “I thought I was over this” and she said “Baby, I could have told you that you weren’t. You went from pregnant, to not pregnant very quickly and were in either physical pain, or high on narcotics, immediately returning to work a week later, never really processing emotionally and psychologically what had happened. You basically said, ‘Ok I am not pregnant let’s move on.’ Everyone is different, it can take days, and weeks, months, etc. you need to process as you will. I love you.” I have an amazingly sweet and supportive husband, as with this being all about him, he was still there for me. I should have been the one asking him how he felt, what happened when I wasn’t in the room, the questions that were asked and the answers he gave, but instead he held me while I cried in his arms. We then went to the famous Kosher Kroger in Atlanta, GA and stocked up on so much yummy goodness, including some Passover goodies, Chinese food for lunch, and sushi for dinner. We picked up some things for our Rabbi and drove the four hours home. Two weeks after we arrived home, my previous employer called to ask me if I would testify on her children’s behalf in court. See, my college degree is in criminal & child psychology and her children (who I was a Nanny for) were abused by her ex-husband and I was the only person whom the children trusted to tell every time it occurred, so of course, I said yes. The problem was that as soon I got off the phone with her and the children, I closed my eyes and visions of my past cases, pictures that nobody should ever see, came flashing across my mind. The cries I heard when the room got quiet were deafening and nobody in my life could understand what was going on. The flashbacks and cries went on almost nonstop for the next two months. One of my chavrusas (by now I had 3) recommended that I speak to another friend of ours in the community that just happened to be a retired licensed clinical social worker with years of experience in working with psychologists like me. I spoke to her, started to meet with her, and was diagnosed with PTSD, moderate anxiety, and mild depression. I chose therapy, no medications, and I continue to meet with her as you read this. By the time this goes to print, it will be a few weeks since the next part of my story. On a Wednesday morning, I went to work as usual and thirty minutes later, I felt my heart pumping extremely fast and so hard that my chest hurt. My head started throbbing as the room started spinning. A coworker had to lead me to my chair and have me call my husband to take me to the Emergency Room. An hour later I was inside the emergency room of a hospital known all over Nashville, TN for specializing in cardiology. By 3:00pm, the doctor had ruled out all potential cardiovascular problems and my lungs were clear so they sent me home. The next day, (not happy with the answers) I went to my own doctor’s office and after reviewing everything with him from the day before, including my psychological diagnoses, I was told that what I had experienced the day before was an anxiety attack. They prescribed an antidepressant/anti-anxiety medications, told me to continue my therapy, and try to put myself first. My boss told me to take off the next day and recuperate. 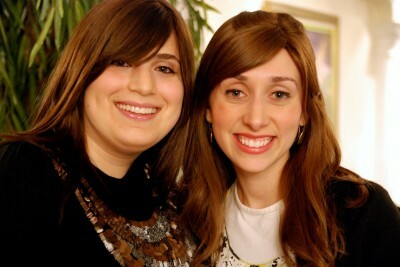 A non-Jewish friend of mine came over and helped me get ready for Shabbat. Not only did she help out for Thursday night, but for Friday after work too, and I was eternally grateful. After all, she even stayed until Saturday morning. 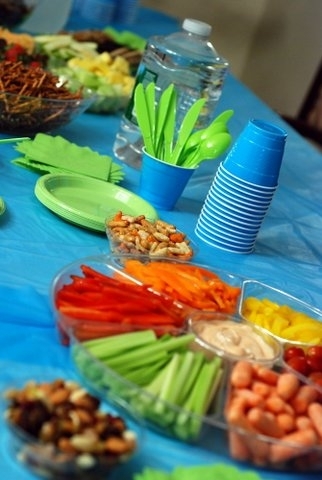 I made it to services and managed to stay for Kiddush by day, but was beyond exhausted for the women’s roundtable Tanya class that was meets every Saturday afternoon. With my husband’s support, I made it home to learn with him. Apparently, word travels fast in a small Jewish community and the Rebbetzin called me on Monday morning to tell me that she missed me in class on Saturday and to see if I was okay. I explained to her all the details of the previous Wednesday and she told me what my mother told me, what my employer told me, and what my amazing husband told me – that I should really start taking time for myself. She reminded me that a woman is responsible for her Shalom Bayit and that without my own sanity and peace of mind, it would cease to be so calm. That I need to take time out for myself, and that is what I am doing right now. The moment that many had been waiting for, the second official Balaboostas.com event! Married women came together to hear Rabbi Daniel Schonbuch, a respected psychologist who works with married couples on their quest to healthy intimacy. 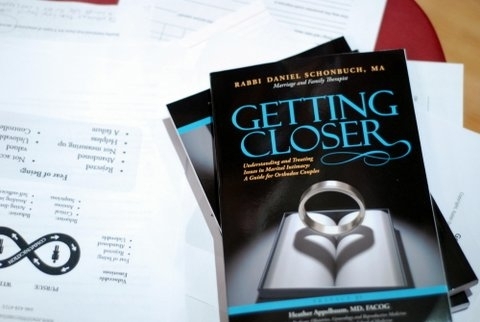 Rabbi Schonbuch’s new book, “Getting Closer”, brings up many issues that are common in Orthodox couples and he addressed some of them at the lecture. 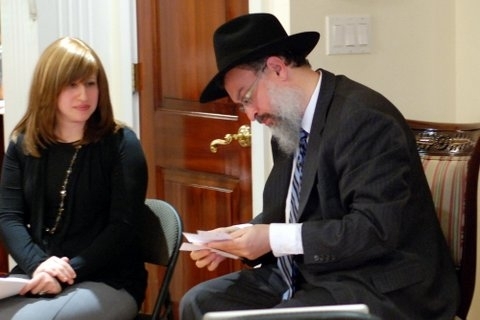 Joined with Rabbi Schonbuch was his colleague, Dr. Rivkah Friedman, a physical therapist who specializes in women’s health and has helped many using pelvic floor therapy and other types of treatment for various issues that affect women. After the lecture, women had the opportunity to ask questions to both speakers, regarding their professional experiences in dealing with different topics and issues. 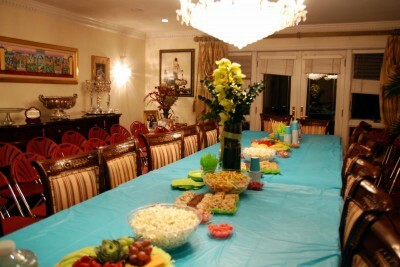 The event took place in the home of the Gutnick residence. 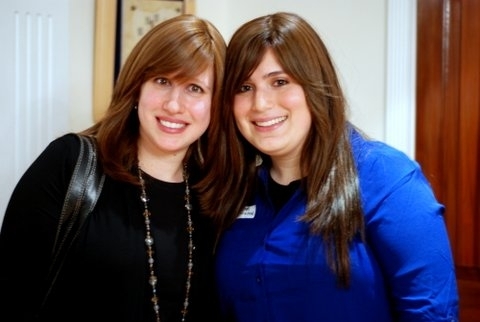 Officiating the event, was Mrs. Fraidy Yanover, along with the founder of Balaboostas.com, Bracha Bard-Wigdor. “50 women showed up at the event itself and 58 women were signed into the live webinar, watching the lecture from all over the world, many whom were Shluchos! 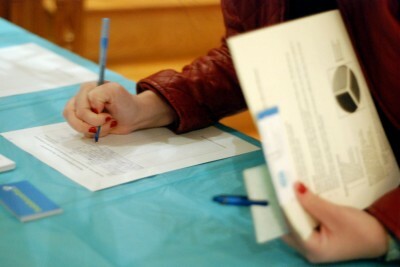 We got amazing feedback via anonymous surveys from the attendees…I couldn’t be happier with the turnout,” said Bracha. 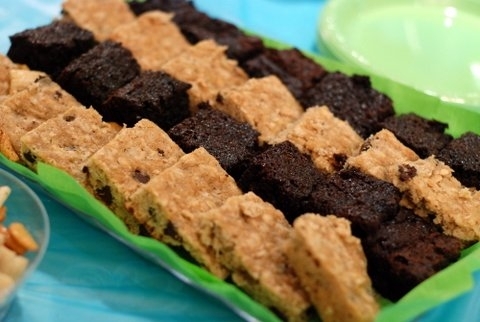 Three of Rabbi Schonbuch’s books were raffled off at the end of the night and healthy refreshments were served. After the lecture, forum members got to meet, socialize, and enjoy the end of a really informative event. 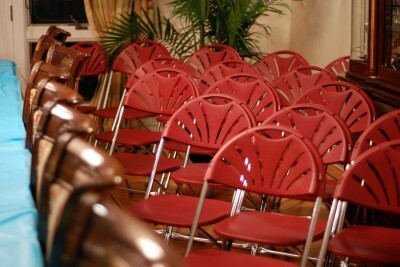 For the readers who want to attend the next lecture, you can subscribe to the emails on Balaboostas.com main page to be notified on future blogposts and events. *You can still sign up to listen to the recording. If you are interested, email Bracha at: balaboostas@gmail.com. As promised, photos of attendants are not included for privacy protection. In his new book “Getting Closer—Understanding and Treating Issues in Marital Intimacy: A Guide for Orthodox Couples“, Rabbi Daniel Schonbuch, MA, Marriage and Family Therapist, aims to remove the shame and isolation felt by Orthodox couples dealing with sexual dysfunction. 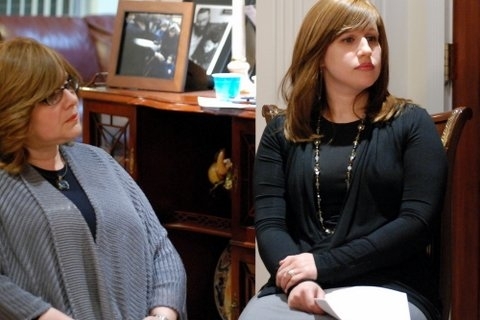 The book was edited by two leading medical experts in gynecology, including Dr. Heather Appelbaum and Dr. Robin Bliss of the NorthShore Long Island Jewish Medical Center, with a preface written by Dr. Heather Appelbaum, who is also an Associate Professor of, Obstetrics, Gynecology and Reproductive Medicine, Hofstra University. “I wrote the book because I noticed that some couples will attend several counseling sessions to resolve their emotional difficulties, but never report that they are having a sexual problem. I have worked with couples who complained about their finances, children, and their in-laws, but avoided discussing the most painful part of their marriage—their lack of intimacy”, says Schonbuch. In Getting Closer, the author provides couples with a powerful roadmap that shares compassion, deep insight, and proven interventional strategies that have helped hundreds of couples to resolve issues in marital intimacy that may have been left untreated for years. The book also examines the connection between personal attachment styles and intimacy. The book includes a quick attachment style questionnaire that helps readers identify their own attachment style and how this may be affecting their relationship with their spouse. “In my book, I aim to normalize the issue of sexual dysfunction by explaining that problems in the bedroom are very common and need to be treated, since they can have a lasting impact on the quality of the marriage. For example, even if a man had PE once or twice, or a woman found relations to be painful, it can create distance between the couple who may spend years avoiding closeness or fighting about secondary issues that have nothing to do with their real problems”, says Schonbuch. The book is divided into three sections: “Emotions, Desire, and Intimacy,” “Guide to Sexual Dysfunction” and “Finding Solutions”. Throughout its pages are detailed descriptions of dysfunctions and disorders, interweaved with real case studies of how Schonbuch helped couples through Emotionally Focused Therapy. By relaying case studies of couples dealing with sexual dysfunction in their marriage, he illustrates how through focusing on the emotions a couple is feeling when they’re quarreling, they come to realize what they’re truly feeling. 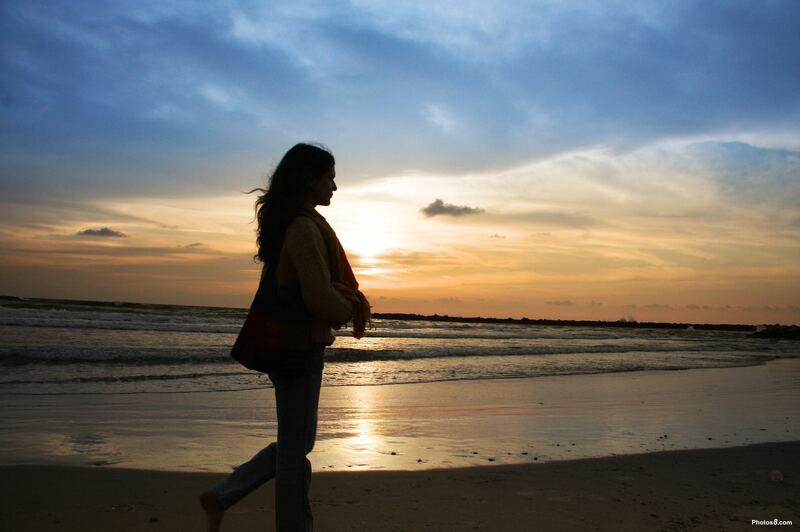 Schonbuch believes that individuals may feel ashamed or live in isolation when dealing with sexual dysfunction. He therefore wrote “Getting Closer” as a form of “Biblio Therapy,” where couples can read the book, reduce their discomfort on the topic, and allow them to further discuss these issues with or without a therapist. 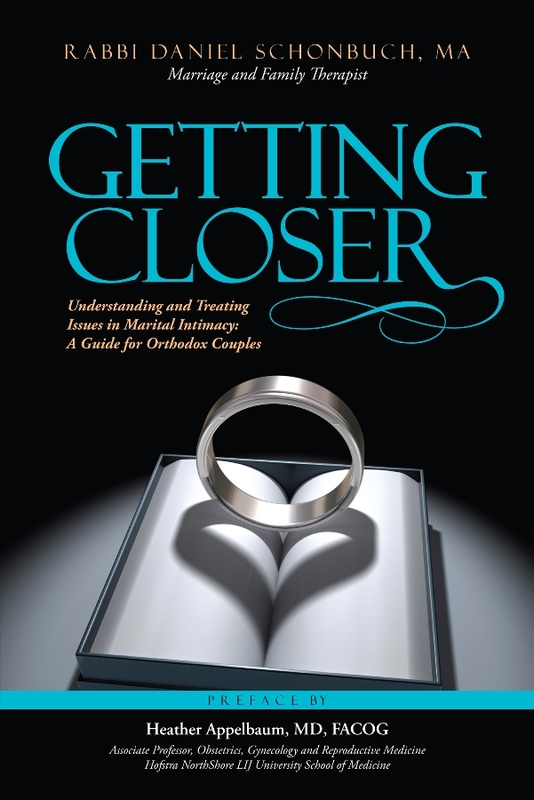 Getting Closer is available in Jewish bookstores, amazon.com, in ebook formats and is recommended to couples, chosson and kallah teachers, therapists, and rabbis and rebbetzins, who encounter these problems frequently and now have a resource to address those difficulties effectively. For a free preview of the book, click here. This book was released only yesterday, you heard it first here! 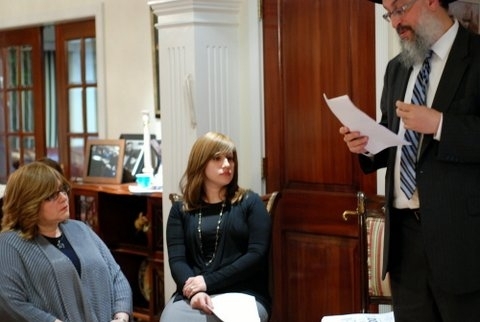 Rabbi Daniel Schonbuch, MA, is a Marriage and Family Therapist specializes in marriage counseling for Orthodox couples. His relationship-based approach to counseling has helped hundreds of couples improve their marriages and resolve issues in marital intimacy. His new book, Getting Closer, explores various aspects of sexual dysfunction. You can view more about his work at: www.JewishMarriageSupport.com. Considering the recent discussions on sexual abuse, Gabi Aharonov writes an insightful book review on how abuse affects the child bearing woman. On the forum you can read personal counts of sexual abuse and how the recent YouTube clip that went viral is affecting them, see here. You can also participate in a “Vote” on the Facebook fanpage, see here. We hope you find this review to be helpful. Please share it with your lady friends and professionals. We come into contact with survivors every day. Every day. Think about that for a second. A quarter of women were sexually abused by the age of 18. Once, I looked at my class and thought, “Oh my G-d, I have no idea what some of these girls have already gone through”. Then I realized that they are not girls, they are women. Each woman deserves to be treated with respect. We should not belittle our sisters, our friends, our daughters. We may not understand what they have gone through, but we can do our best to empathize and help them carry their pain. We do not even have to know that a woman has been abused to treat her with respect. Pregnant survivors in particular have a need to be treated kindly. They need to be reminded that their body is indeed theirs, even though it may not feel like it, although they are sharing it. Pregnant survivors need to know that they are not damaged. 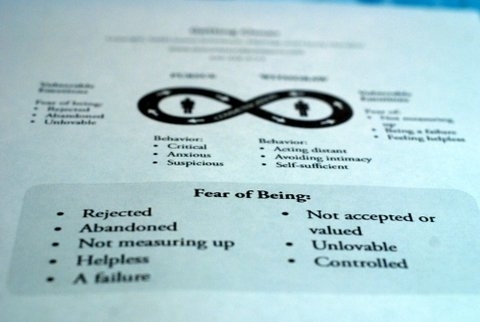 They need to know that they are in control, even when they do not feel that they are. After reading “When Survivors Give Birth: Understanding and Healing the Effects of Early Sexual Abuse on Childbearing Women”, by Penny Simkin and Phyllis H. Klaus, I stopped saying certain accepted phrases to pregnant women, like “Wow, you got so big!” or “Can I touch your stomach?” I cannot assume that any given woman was not abused, and I cannot assume that my words will not trigger a hurtful memory. The first part of “When Survivors Give Birth” describes the effect of child sexual abuse on childbearing women, and will answer to any skeptics who do not think that child molestation is a big deal. It also explains why a survivor should be open with her caregivers, and not ignore the past, since no woman knows what might come up again during the birth itself. This section of the book describes scenarios that may disturb survivors, so please be cautious if you are sensitive to hearing about other’s abuse. In the birthing room a woman can feel out of control, have flashbacks, lash out at all of the people around her. She will have no idea what to do, how to react, does not feel safe in her own body, and this is a feeling she knows from somewhere else. Being prepared for this will help. Having a plan will help. A woman having a pelvic exam can be re-traumatized hearing familiar phrases like “If you relax this won’t hurt as much” that she may have heard under a very different circumstance. Knowing enough about triggers would allow her to tell the doctor which phrases should be avoided. The second part of the book describes solutions to these various problems that can arise. There are great solutions that are important for women to know even before they conceive. 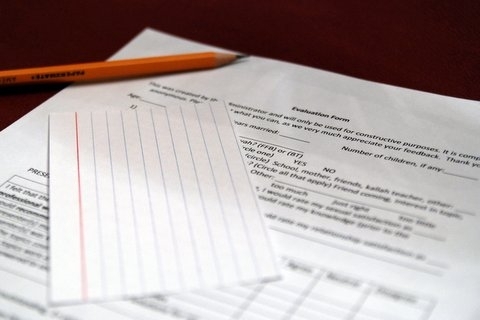 Many of the ideas involve communication skills, self-help techniques as well as pinpointing possible triggers and making a plan specific to the survivor. The main point that is reinforced is the need to be sensitive and patient. 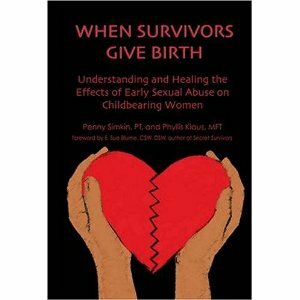 The authors recommend that every doctor, midwife, and doula treat each patient as a survivor. We should all treat the women around us with respect and love, no matter what they may or may have not gone through. This book should be in the hands of every woman who is a survivor, as well as anyone who works with pregnant women. At the very least, we should learn to nurture and care for those around us who have been hurt. We should assist their healing, not belittle their past. We should make them stronger. We should love them. I asked one of my frequent writers to share her story on HG, being that it is all over social media due to Kate Middleton‘s current Hospitalization. We had a discussion about this on the forum (see thread here) when someone posted “The View”‘s reaction to Kate’s news (see below), which was disgraceful to say the least. It occurred to me that too many women are simply unaware as to what HG is, and this is a good opportunity to raise awareness. Please share this with your lady friends. Hyperemesis Gravidarum. A.K.A. Puking your guts out while pregnant. For those of you that don’t know what HG is, I envy you. What it is: Although 90% of women suffer some amount of morning sickness, HG only affects around 1 in 200 women. Symptoms include severe nausea and vomiting, food aversions, significant weight loss, dehydration, fainting, and malnutrition. It is serious, and without the proper care, can result in life threatening complications to both mother and baby. 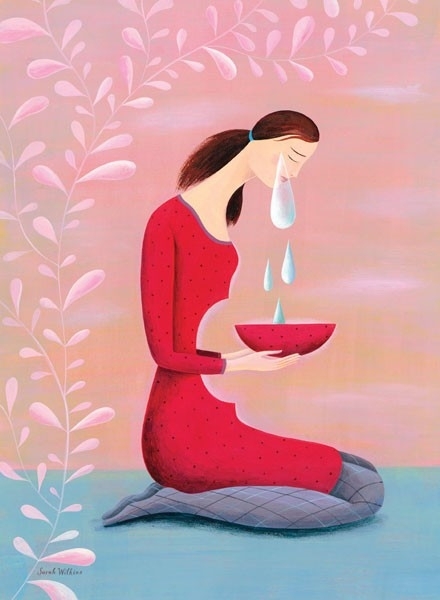 This is Morning Sickness vs. Hyperemesis Gravidarum. Typically, you will improve after the first trimester at a gradual pace but may be a little queasy at times during the remainder of your pregnancy. You will be able to work most days and care for your family. 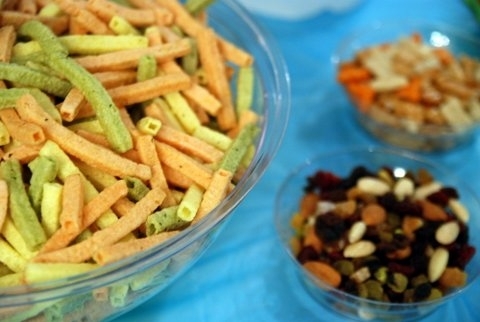 You lose more than 5% of your body weight. 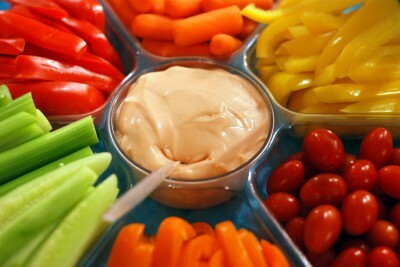 Nausea and vomiting cause you to eat nothing or very little and causes dehydration. You will likely be unable to work for weeks or months, and may need help caring for yourself. My story, pregnancy #1: Husband and I find out I am pregnant; we are thrilled like any clueless first time parents are. I feel great, and I naively think I will love being pregnant, just like my mother. It shouldn’t be surprising, my mother and I are nothing alike, but I get sick at 8 weeks pregnant. The first 3 months are spent with my head in the toilet. I throw up an average of 30-40 times a day. Occasionally, I don’t throw up at all, and that results in me momentarily blacking out. I lie in bed all day, fantasize about taking a shower standing up. I don’t cook supper, and I don’t let my husband cook supper. The smell of the sun gets me sick, my husband tries smelling it and can’t. We go on vacation when I’m five months pregnant and I black out after standing out in the heat for ten minutes. I sit under a tree while my husband gets me water, and a bunch of people are staring at me. I laugh, thinking it’s no big deal, this happens all the time, but it hits me: This is not normal. Baby is monitored constantly throughout the pregnancy, baby is growing well. At nine months pregnant, I weigh less than I did at my wedding. After a long labor, I give birth to a huge, healthy baby. A little while later, I eat a peanut butter sandwich, followed by meatballs and spaghetti. Pregnancy #2: My mind tricks me into thinking I can handle a second HG pregnancy. Once again, we are thrilled and clueless like any second time parents. I get sick sooner this time, at 6 weeks, and it is more severe. My vision of a normal pregnancy is gone, and is replaced with the reality of popping 25 pills a day. This time, the sun does not have a smell, but water does. Husband does not agree. I don’t drive, I don’t bathe my son. I don’t cook, clean, or work. I rarely leave the house and I often make my husband skip work to stay home and help me do absolutely nothing. I am unable to physically care for my son, so I send him to daycare, and it breaks my heart. Its déjà-vu this time, so I do not freak out when I black out. The pills work, I do not throw up so much. Instead, when I do, it is very sudden so I throw up on my bed, in the sink and on the floor, unable to make it to the toilet. Pros: We finally have a reason to dry clean our blankets. I am now a little over five months pregnant. I am over the worst, but still going through it. I throw up once in a while usually accompanied by a brief black out. Based on my first pregnancy, I will most likely feel this way until I give birth. I cannot wait until my babies are older so I can tell them what I went through and make them feel bad. Just kidding, I would never do that. Here is a great article that explains HG along with the authors personal story, and a funny, but useful guide for husbands of women suffering from HG. I know I’m not alone in wanting to raise awareness, Ashli Foshee McCall just published her story on the “Washington Post”. She is the author of the children’s book, “Mama Has Hyperemesis Gravidarum (But Only For A While)”. 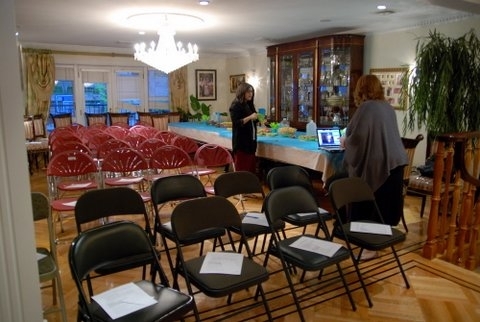 The first official Balaboostas.com event, “After the Kallah Class“, took place Thursday evening in the Crown Heights community. It was a lecture on intimacy by psychotherapist, Rivka Sidorsky, LCSW-C. 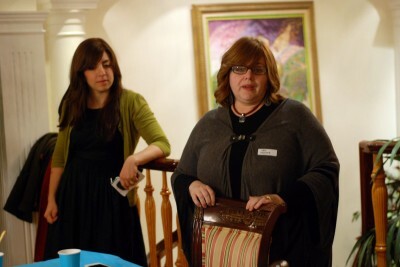 The crowd of 70 women listened on intently, as she spoke about issues and topics that concern married Jewish women. The sensitive and crucial topic of intimacy was discussed from a psychological, as well as a physiological standpoint. Starting out with basic information on healthy intimacy, and ending with frequently asked questions in the Frum community, Rivka Sidorsky was engaging and comfortable to listen to. 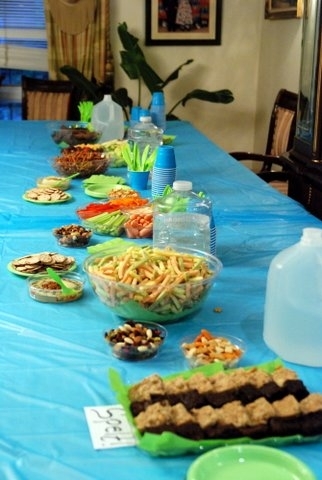 After an hour and half of lecturing, women got to ask questions, discuss, and mingle around the refreshment table. “The lecture was conducted in such a modest manner. 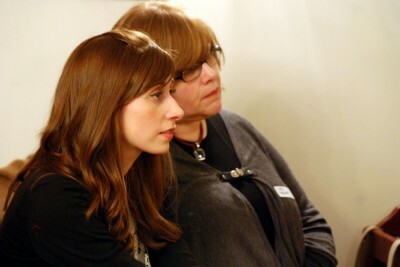 For the subject content, that was really impressive”, said some women who attended. 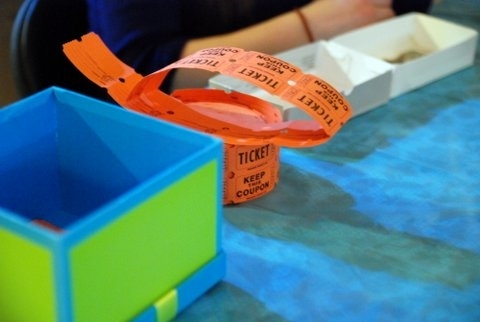 “There should definitely be more events like this!”, others added. “This was an exciting moment for the Balaboostas community. For its first official event, the feedback from the women who attended was superb and it was a great success! 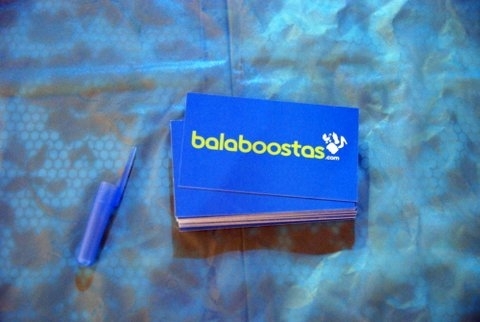 I hope that this is a start of many more in the future”, said Bracha Bard-Wigdor, creator of Balaboostas.com. 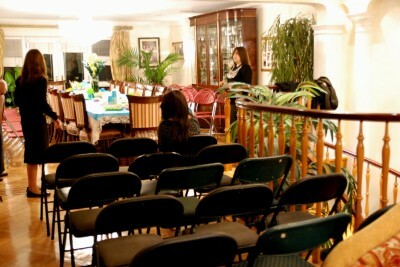 Introducing the event was Mrs. Fraidy Yanover, a certified LifeCoach and it was hosted in the Gutnick residence. 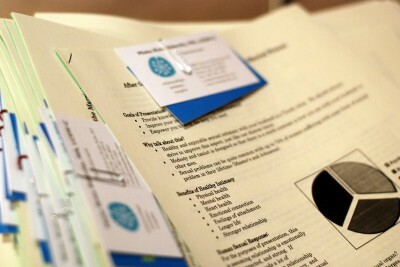 *As promised, photos of attendants are not included for privacy protection. This article was also published on COLlive and CrownHeights.info.